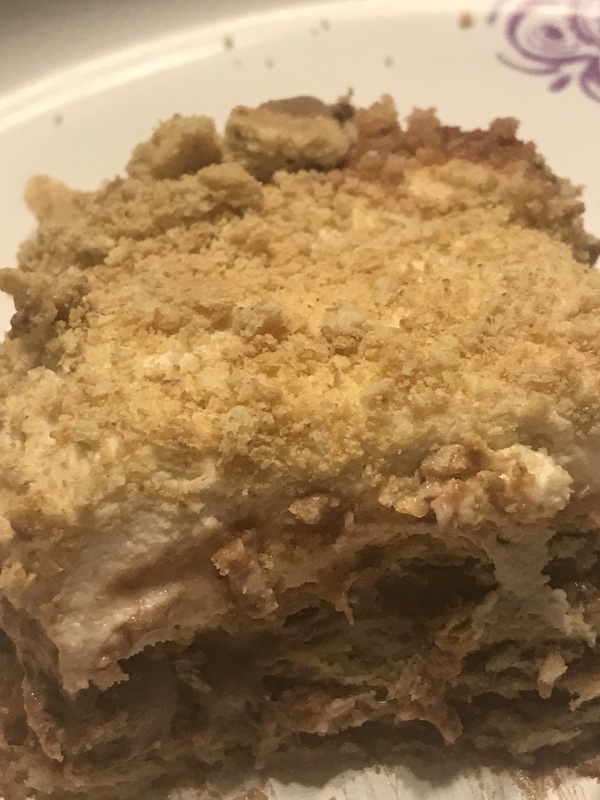 So my grandma used to make what they now call today, “Chocolate Éclair Cake.” I was thinking about that cake the other day but wanted to do something different with it. 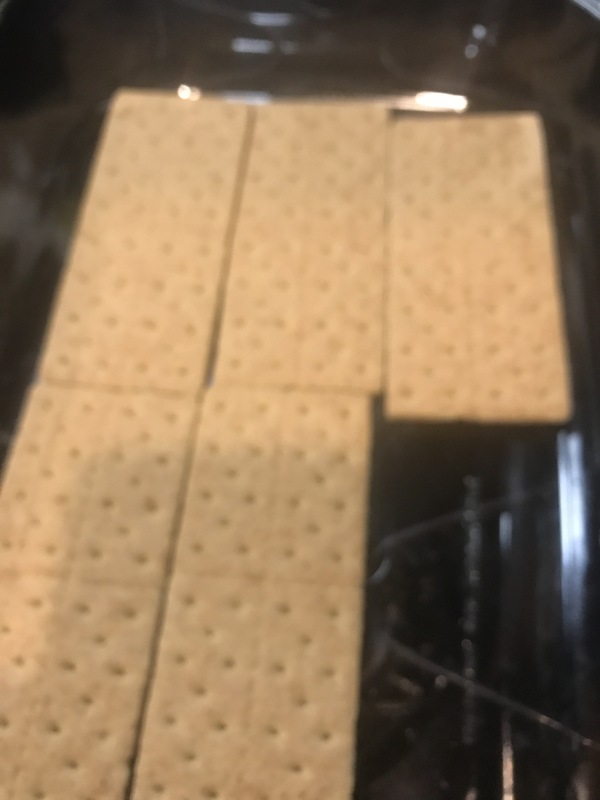 I came up with S’mores! Before anything, make your pudding according to the directions on the package and allow it to set. 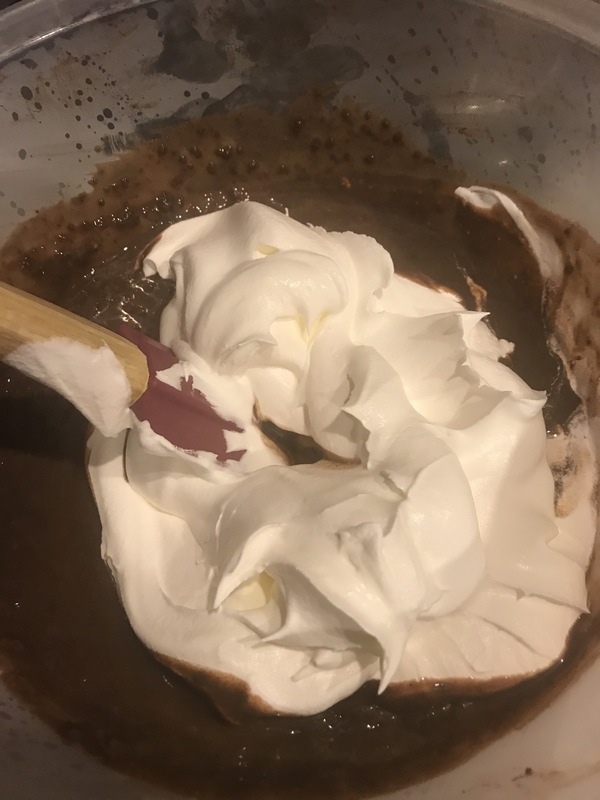 After it has turned into a good and set consistency, combine the entire tub of whipped topping with the pudding and set it aside. 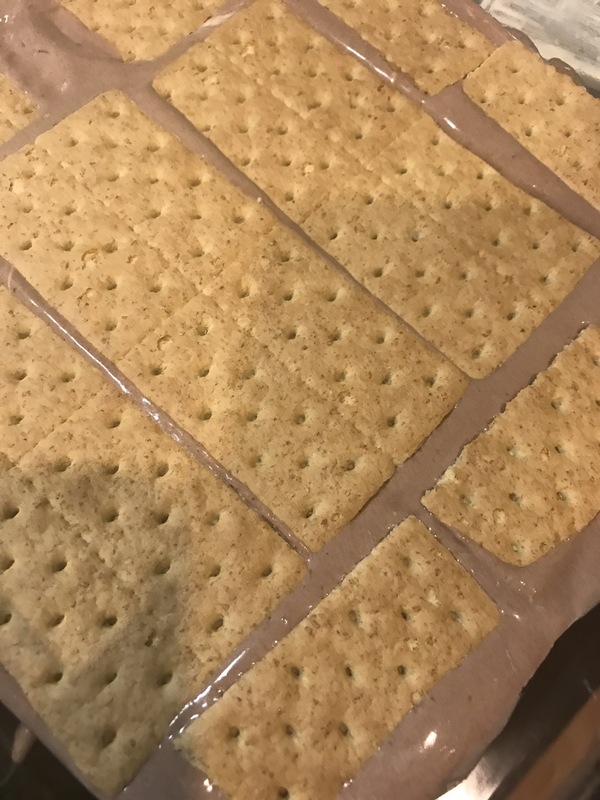 Then, line the entire bottom of your baking dish with graham crackers – if you need to, break the crackers into smaller pieces off to fit into any small, uncovered spaces in your dish. 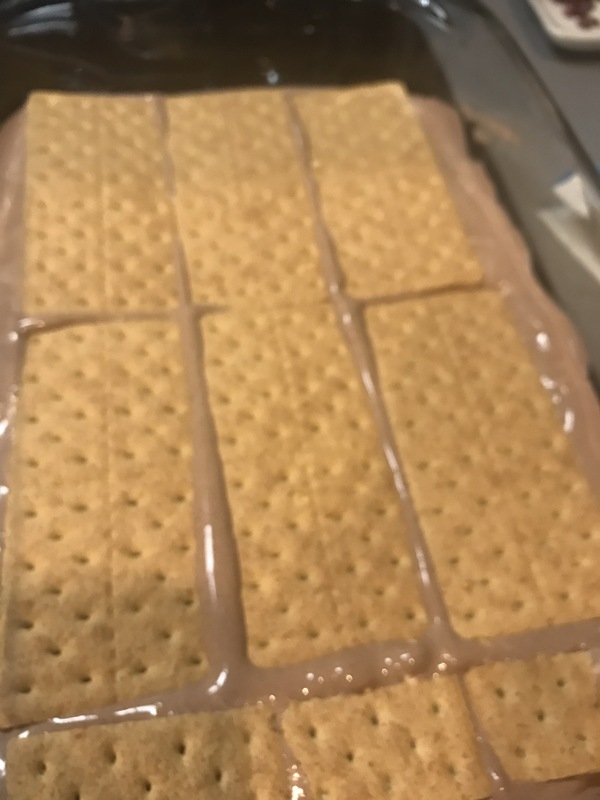 Now the last layer of graham crackers….whew! Finally done…! 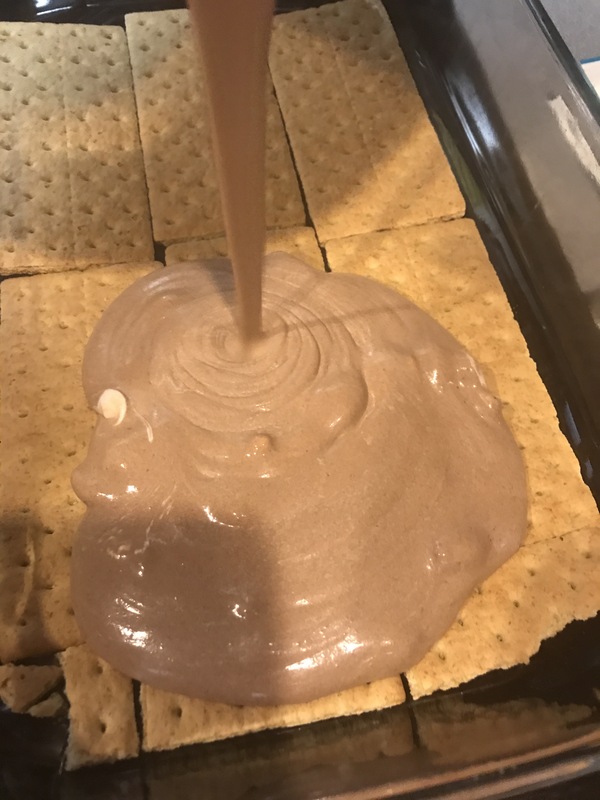 Now at this point, put it in the fridge to sort of settle for about an hour while you prepare the marshmallow butter crème….Here is the recipe! 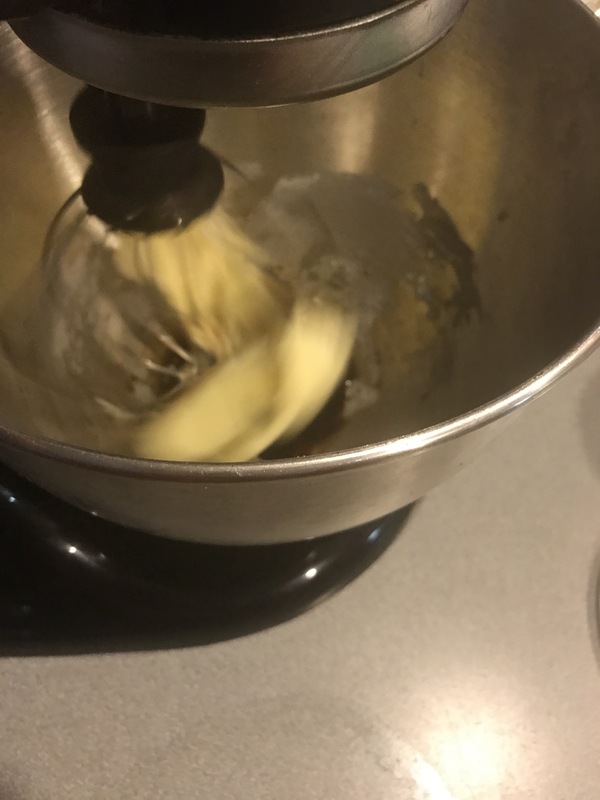 In a stand up mixer, beat together your butter and vanilla. 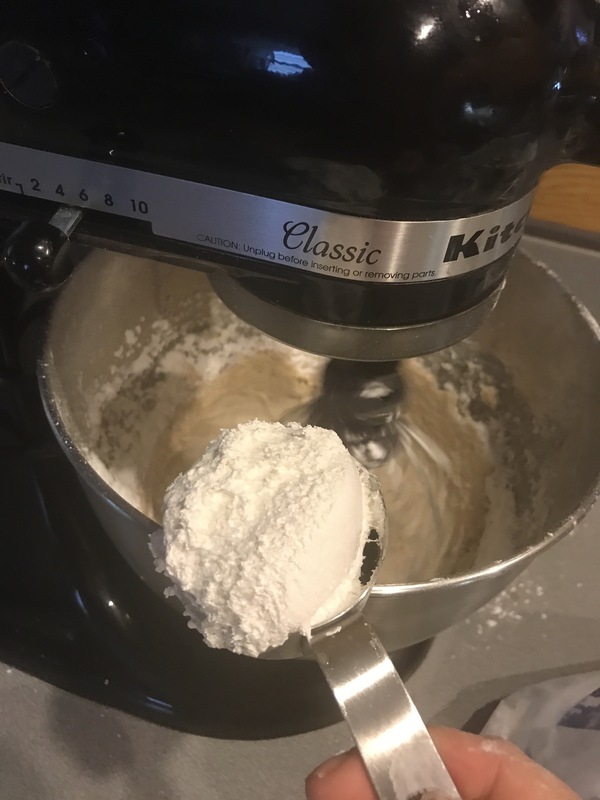 Then, little by little, add the powdered sugar until you have put about 2 cups in. It’s much nicer to do only a little at a time so you don’t end up with a big ol’ cloud of sugar in your face! Add your water! Start with 1/2 teaspoon and go from there. If you think it may need a little more sugar, add it!! If it doesn’t look quite spreadable, add a little more water. Use your own judgement! 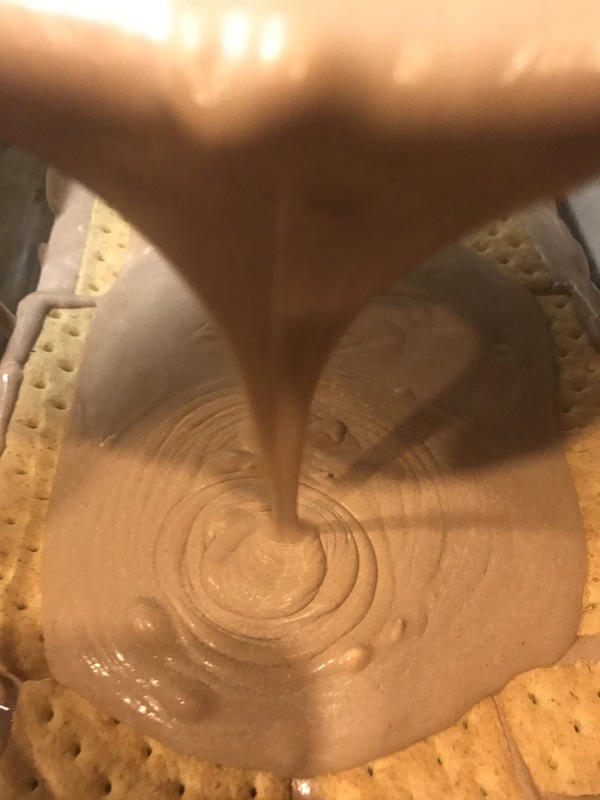 After the water is combined, add the full 7oz of marshmallow cream and mix until incorporated. This frosting is verrrry sweet. You really only need a thin layer to add to the top of your cake. So! 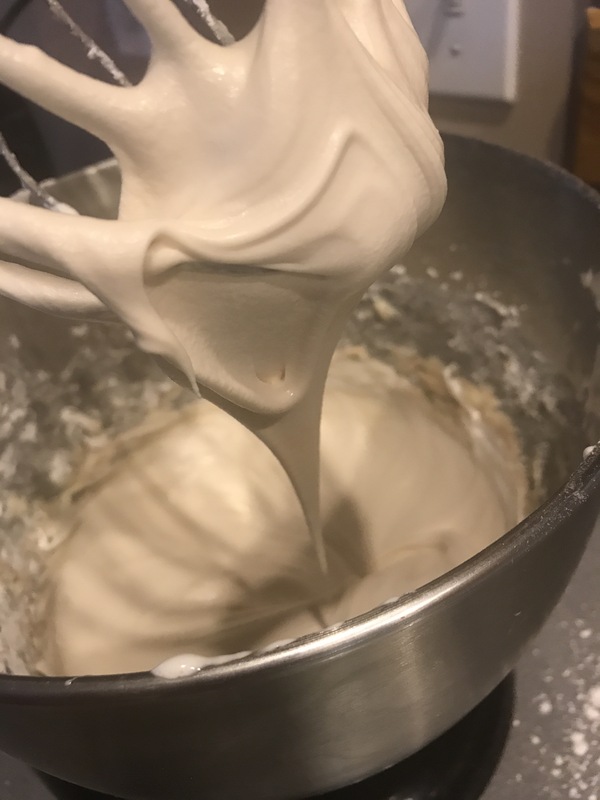 Once you take the settled cake out of the fridge, spread the marshmallow butter cream over the top. 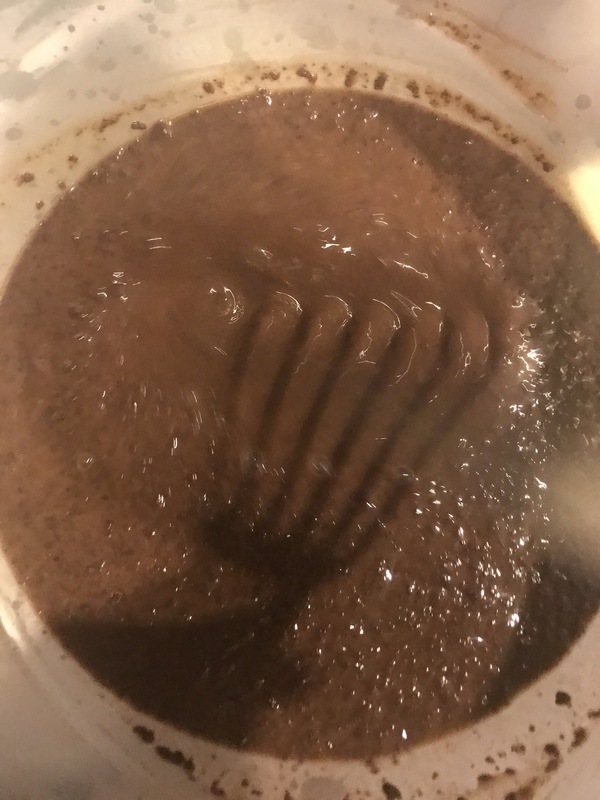 Yes, some of the pudding got mixed in but!! Who cares? 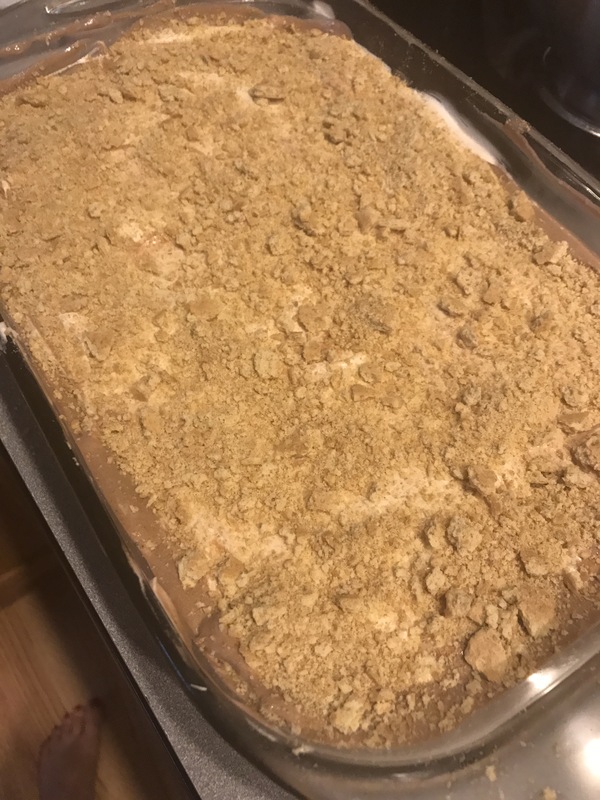 You’re going to cover it with crushed graham cracker crumbs and then eat it! 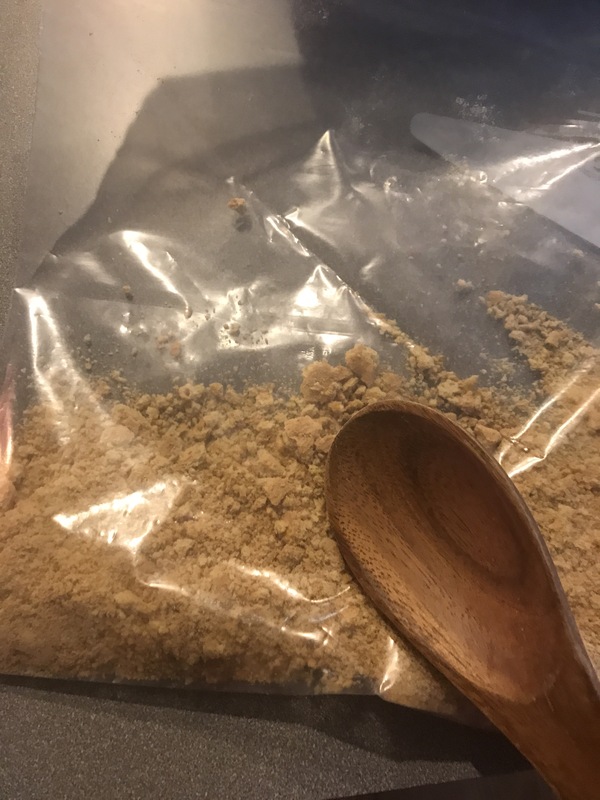 Since I just gave away the next step, go ahead and crumble up the rest of the graham crackers that you did not use. I put mine in a plastic bag and took a metal measuring cup and smashed them up! Simple!! Sprinkle! That’s it! 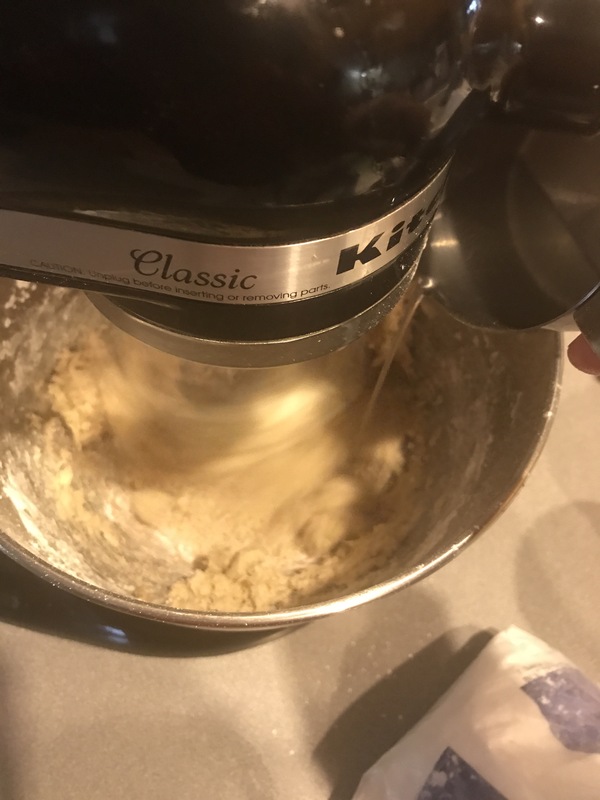 No baking, no fuss, just a little cleanup!